This article will walk you through the steps to take in order to take your campaign plan from the PPC Keyword Tool and upload it successfully into your Google Ads account using Google Ads Editor (AdWords Editor). Download Google Ads Editor here. 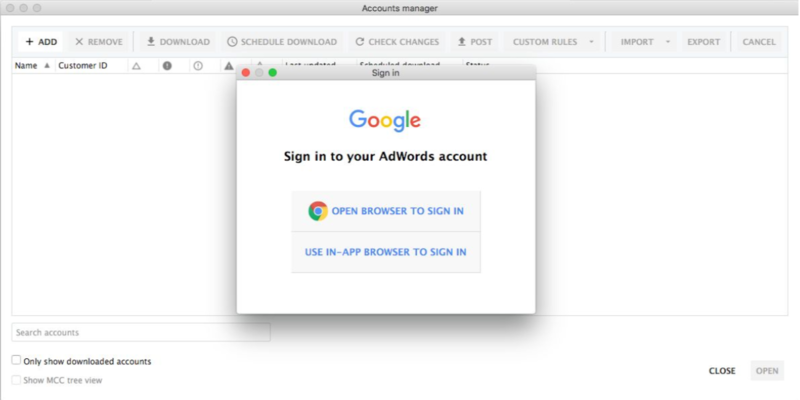 Launch the Google Ads Editor, click the ”Add” button and select the login option of your choice. Once you are done selecting the login path of your choice you will get a code to input (reference the screenshot below). 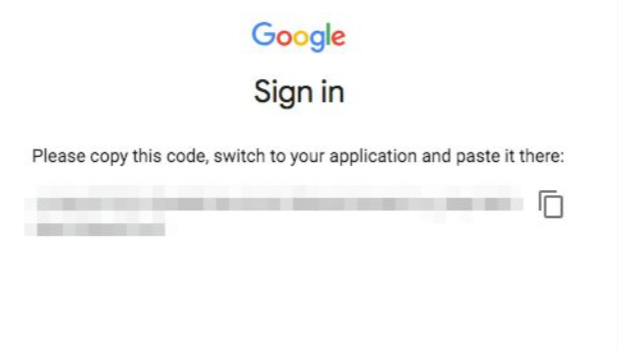 Once you insert this code into the sign in screen, you’re ready to start using Google Ads Editor. Now it’s time to import the spreadsheet. 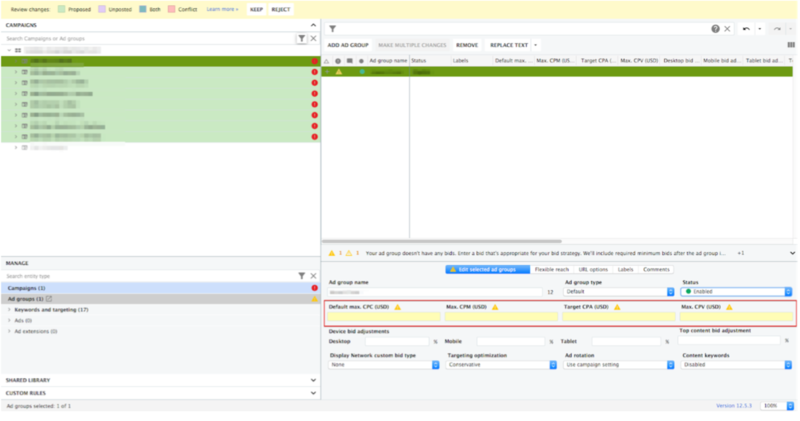 Go back to the Google Ads Editor program that you downloaded at the beginning of the instructions and locate the option to import from file. Now it’s time to go into this tool and finish the setup. In the far left column, you will need to go through each one of these that have the red exclamation point to the right of the campaigns in green. In here you will need to set the default max CPC, Max CPM, etc. Now you have added all of the necessary information into each campaign plan that was exported from SEMrush, you can now run these keywords in your campaign. Congratulations!